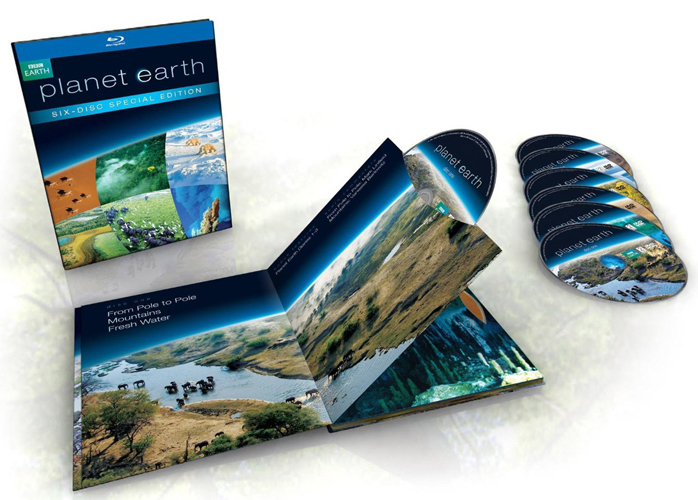 ・Commentary on select episodes ・Great Planet Earth Moments: Relive the greatest moments of this revolutionary series and discover how these scenes were captured on film! ・Snow Leopard: Beyond the Myth - The BBC Natural History Unit explores a secret cave deep in the mountains of Pakistan where generations of snow leopards return each year to raise their young. ・Secrets of the Maya Underworld: The freshwater pools that dot Mexico s Yucatan peninsula were believed by the Mayans to be portals to the underworld. For the first time ever, the BBC Natural History Unit explores this incredible, labyrinthine system of underground rivers. ・Elephant Nomads of the Namib Desert: Follow the struggle for survival of two female elephants trying to raise their young in one of the harshest climates on Earth. ・Music Only viewing option ・Special Sneak Peek at Executive Producer Alastair Fothergill s next blockbuster project: Frozen Planet ・Original DVD Special Features now also on Blu-ray:・110 minutes of behind the scenes footage one 10-minute behind the scenes program for each episode Planet Earth ・The Future: This 3-part series looks at what the future may hold for endangered animals, habitats and ultimately ourselves. 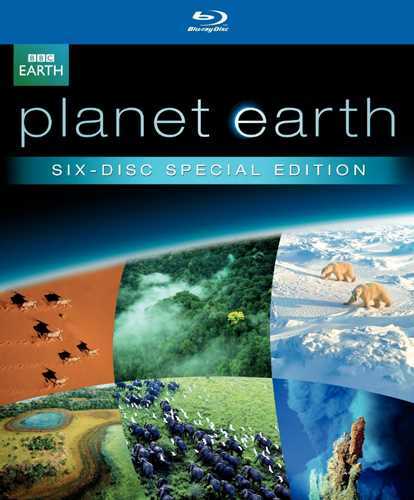 Following the environmental issues raised by Planet Earth, it asks why so many species are threatened and how they can be protected in future.